LOCATION! LOCATION! LOCATION! 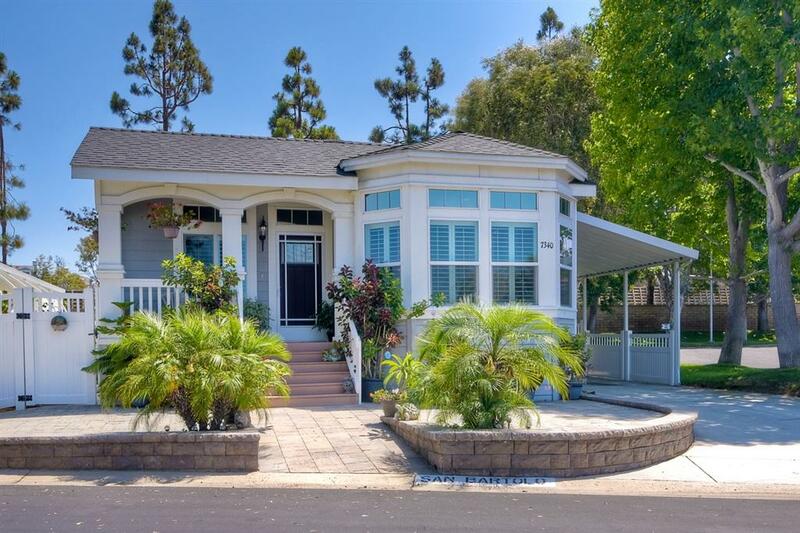 Whether it's your primary residence or 2nd home, this home has it all AND its' just a short walk to Carlsbad's Beaches! A beautiful corner lot, 2 bedroom + bonus room home awaits you in the much-desired gated 55+ Lakeshore Gardens community. An open floor plan w/ a spacious kitchen, huge family room, large master bedroom & bath & in-door laundry room. Plantation shutters thru out, crown molding, recessed lighting & AC. Resort living year-round! This 55+ community has something for everyone! There are 10 freshwater lakes scattered thru out the park, a heated pool, hot tub, a fitness center, library & numerous social events. You are within walking distance to the South Carlsbad State Beach and Ponto Beach. Conveniently located to shopping & if golfing is your hearts desire, Aviara's Golf Club, designed by Arnold Palmer, is just minutes away!